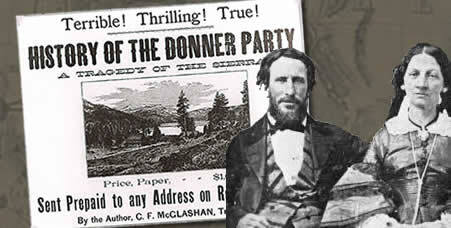 Hiking + History = Donner Party Hike! Exploring this region on interpretive walks and hikes, you can almost hear the clip-clop of oxen and the rumble of wagon wheels, as countless emigrants scaled the mighty Sierra Nevada in search of a better life. Learn about the success of the Stephens Party; the tragic events the Donner Party endured; and the importance of the transcontinental railroad. Join us for Saturday hikes, or Saturday and Sunday, and enjoy a weekend steeped in history and exploration. Put on your hiking boots, choose a hike and discover Truckee’s history! Did the Summit Canyon hike. It was such a good choice, thank you for recommending it. Hope I can do more hikes next year. Had a great time.